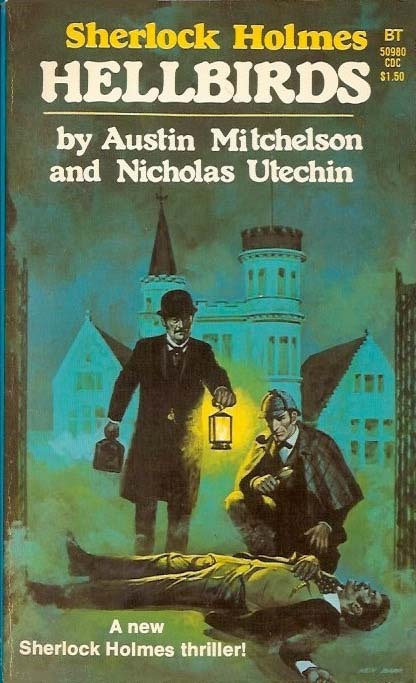 Austin Mitchelson and Nicholas Utechin's follow-up to their first Holmes pastiche The Earthquake Machine. This one brings the great detective into World War I intrigue. In December of 1914, while the two greatest armies in history were deadlocked across Europe from the North Sea to the Alps, Sherlock Holmes and Dr. Watson were called in to investigate the mysterious death of a man who had fallen victim to a vicious flock of birds. There is more to it than first apparent, however–for an evil genius, the German master spy Von Bork, is planning to infiltrate all of England. A new Sherlock Holmes thriller by the authors of THE EARTHQUAKE MACHINE.